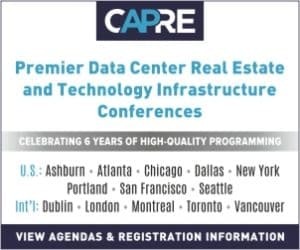 CAPRE MEDIA | CAPRE EVENTS > Conference Coverage > Data Centers > Which Data Center Business Model is the Riskiest? 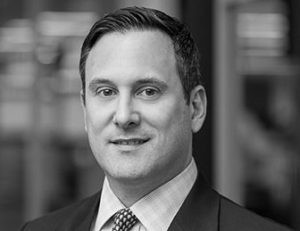 Which Data Center Business Model is the Riskiest? LEESBURG, VA – CapRE’s Sixth Annual Washington, D.C. & Mid-Atlantic Data Center Summit, the largest and most influential of the year, kicked off with a rousing morning panel discussion, REIT Analysts’ Outlook: Hyperscale, Traditional and Edge Data Centers Against the Backdrop of Evolving Services Landscape, which featured the input of Robert Gutman, Director, Communications Infrastructure and Telecom Services Equity Research Guggenheim Securities, LLC, on M&A, on the changing face of risk in the data center industry. Below is the first part of his comments, in response to a comment by Moderator Kanan Joshi, Executive Director and Head of Telecom Infrastructure for Upper Bay Infrastructure Partners. According to Gutman, there’s a lot of different avenues. “And if we focus on the big public companies, the risk profile and how they’re getting to each other’s businesses, that’s sort of the question,” he explained. “In terms of the more interconnection-driven business and the risk there, there are various aspects of risk that people consider in that business model,” concluded Gutman. “We like to think that the NAPs are sort of sacred. Those are just irreplaceable assets, dense network connectivity in the right places — the “Beachfront” property of the data center world. Kanan Joshi, Executive Director – Head of Telecom Infrastructure, Upper Bay Infrastructure Partners moderates a discussion with Robert Gutman, Director, Communications Infrastructure and Telecom Services Equity Research Guggenheim Securities, LLC and Sami Badri, Senior Analyst, Credit Suisse at CAPRE’s 6th Annual Washington, D.C. & Mid-Atlantic Data Center Summit on September 12 in Leesburg, VA.
What Do Valuation Trends Portend for M&A?